A state-wide benchmark of Oregon’s birds by the year 2020. With high-quality, publicly available data to help future generations see changes in bird abundance over time with 20/20 vision. 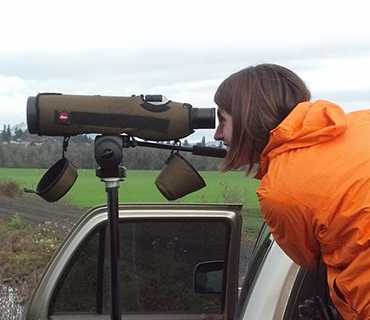 Establish a state-wide, high-quality estimate of the abundance and distribution of Oregon birds. Use methods that are exactly repeatable, today and in the future. Collaborate between professional researchers and citizen scientists. Improve the quality of volunteer data contributions through training and birding opportunities. Assemble and incorporate existing data from established surveys such as the Breeding Bird Survey, Bird Atlas, and Avian Knowledge Northwest. We have the knowledge and resources to produce high-quality measurements of biodiversity. And the ability to preserve that information in an easily accessible form. Birds play many valuable ecological roles, from insect control to seed dispersal. Understanding how these ecosystem functions are affected by environmental change is important. Birds are easily detected and relatively inexpensive to monitor. Birds respond quickly to environmental change. They can be impacted by habitat changes across their full life-cycle from breeding and wintering grounds to migration routes. 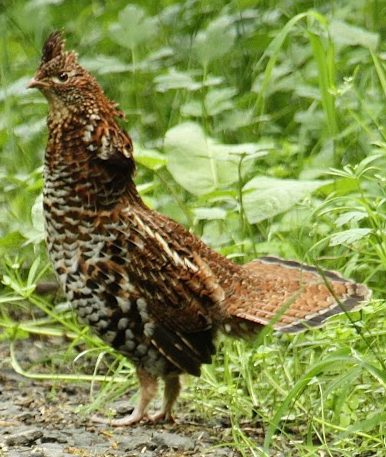 Birds have wide public appeal thanks to their charismatic appearances and behaviors. We will use a combination of professional ornithological field surveys and citizen science data to map current distributions and abundances of Oregon's birds. To the left is an example of the distribution maps produced by the Oregon 2020 project. 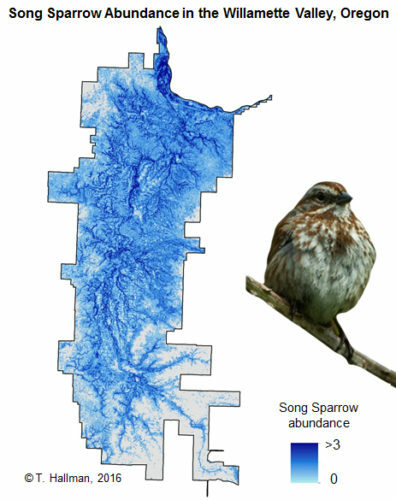 Citizen science data from within Oregon 2020 Hotspot Squares were essential to capturing the range of Song Sparrow habitats within the Willamette Valley, Oregon. Ultimately, the Oregon 2020 project will provide the public with similarly detailed maps for many of Oregon's breeding birds. We will leave a legacy of data archived in eBird, Avian Knowledge Network, and other global biodiversity databases. Professional ornithologists perform standardized monitoring procedures – such as stationary point counts – across the entire state. These procedures are exactly repeatable and follow good scientific practices, so future researchers can replicate and compare data against our observations. Citizen science is an essential part of our project. 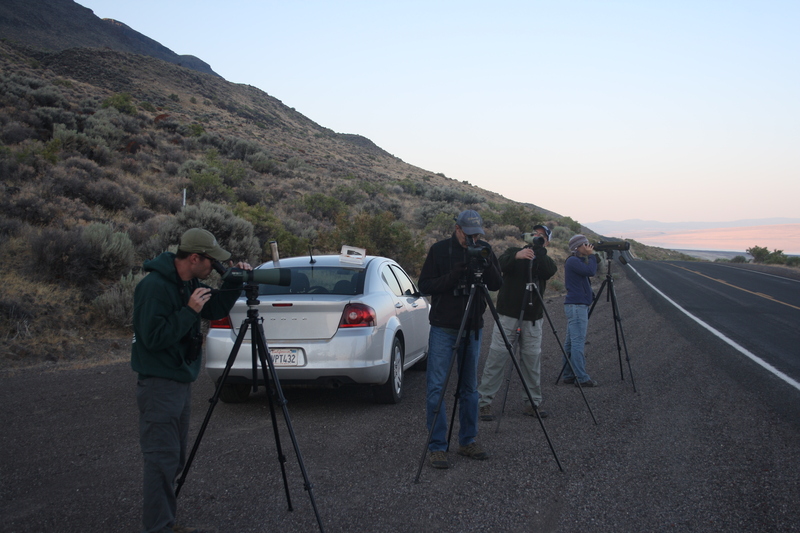 Citizen birders across the state improve the coverage and scope of our data. We obtain citizen science data from eBird.org where it is permanently archived and made publicly available for researchers to access. Below are just a few of the meetings and groups where Oregon2020 has presented. Audubon Society of Corvallis, Umpqua Valley Audubon Society, Salem Audubon Society, East Cascades Audubon Society, Lane County Audubon Society, Pendleton Bird Club, Oregon Chapter of The Wildlife Society, Western Field Ornithologists, Society of Northwestern Vertebrate Biologists, American Ornithologists’ Union, Willamette Valley Bird Symposium, Mountain Bird Festival. Would you like us to speak with your group? Contact us. Oregon2020 is a collaboration of professional ornithologists, citizen scientists, and birding enthusiasts. Below is a short list of the people who have helped to bring Oregon2020 to life. Bob and Phyllis Mace Professor, Curator of Birds, and Professor of Wildlife Science at Oregon State University. Birds are my expertise, my vocation and avocation. I study wild birds to understand how and why they respond to environmental change as well as why they live their lives in the ways they do. 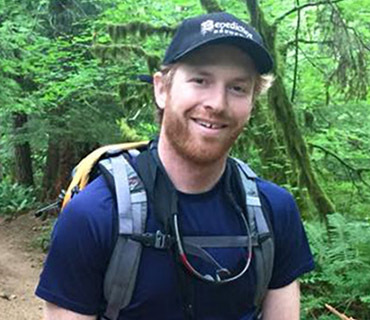 Doctoral candidate working with the Oregon 2020 project to study patterns of distribution and abundance of songbirds in the Willamette Valley, Oregon. One of my goals is to provide perspective on how much bird populations have changed since pre-settlement times. 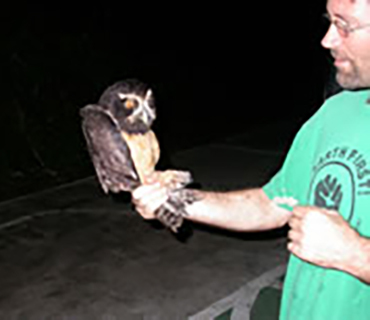 PhD student and native Oregonian studying long-term avian community change on Barro Colorado Island, Panama. My research interests include birds – especially behavioral ecology, species-habitat relationships, and community dynamics. I also enjoy outdoor activities like birding and backpacking, as well as various artistic endeavors. Instructor at Oregon State University, Randy is excellent at auditory surveys of birds and has helped with many standardized point counts. 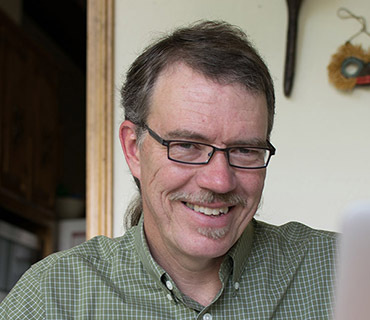 Randy grew up in Virginia and has worked all over the world on various avian research projects. He lives in Corvallis but finds ways to slip off to his Patagonia, Arizona, home during the Corvallis winter. Jesse Laney works both as a data technician and avian point count technician for the Oregon 2020 Project. Jesse has independent research projects on both the Patagonia Picnic Table Effect (PPTE) and evaluating avian raptor digestive patterns on fossils. Gabriel Sandoval assists with data collection and compiles eBird data for the County Spotlights. He is also vice president for the OSU Bird Nerds, and has an undergraduate research project investigating the abundance and distribution of Yellow-rumped Warbler subspecies in western Oregon. Azita Roshani participated on several Oregon 2020 blitzes and produced our 2016 County Spotlights. She currently works in the OSU bird collection to create a current inventory of the more than 9,000 specimens. Cody Sawyers is the voice of our instructional tutorials. He needs a job in broadcasting, we think! Noelle Moen, Andrew Stokes, and Marie Rouyer produced our 2017 County Spotlights. Liz Johnson, Tyler McFadden and Stephanie Caldwell assisted with the massive job of getting GPS coordinates for historic ECAS raptor route segments. 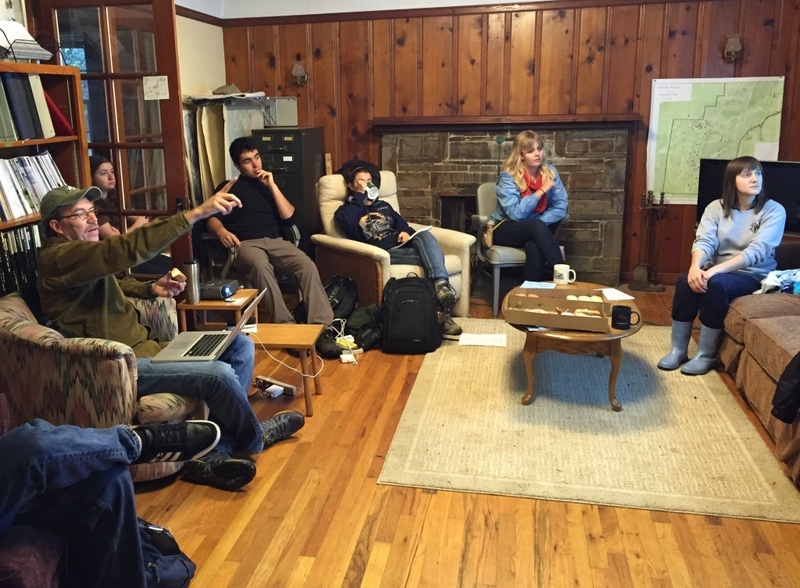 Kerstin Beerweiler, Michael Brawner, Jenae Castanon, and ShyAnne Woods helped organize the Fairchild’s 25-year dataset from near Marys Peak. Oregon 2020 is made possible in part by the Bob and Phyllis Mace Watchable Wildlife endowment. We are grateful for the support of our volunteer citizen scientists, student assistants, and sponsors.